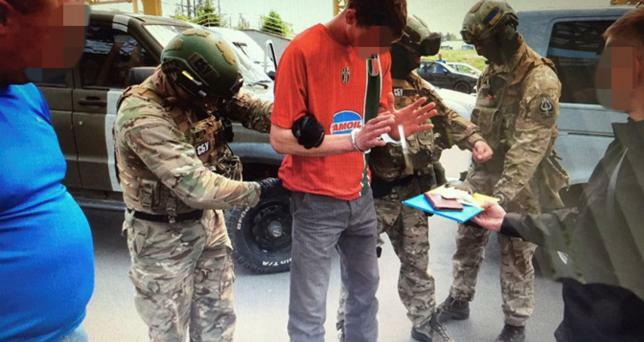 The State Border Guard Service of Ukraine reported on Saturday (4 June) that the unnamed 25-year-old had been arrested with an arsenal of weapons and explosives including rocket launchers and Kalashnikov assault rifles in his vehicle. SBU chief Vasyl Hrytsak said the man had made contact with armed groups in Ukraine with the aim of buying weapons and explosives. In Paris, a French police source said a raid on the suspect’s home in France had uncovered ingredients for homemade explosives. “The Frenchman spoke negatively about his government’s actions, mass immigration, the spread of Islam and globalization, and also talked about plans to carry out several terrorist attacks,” Hrytsak told journalists. “The SBU was able to prevent a series of 15 acts of terror (planned) for the eve and during the Euro soccer championship,” he said. A French foreign ministry spokesman confirmed that a Frenchman has been arrested in Ukraine and said the ministry was in contact with Ukrainian authorities. French police initially reacted skeptically and said the detained man was not known to either police or intelligence services. However, another police source close to the case said police had found a T-shirt with a badge carrying the insignia of an extreme right group at the suspect’s home as well as “several substances that could go into the mix of homemade explosives.” The source did not elaborate. Security officials in Europe are on high alert after Islamist militants killed 130 people in Paris last November and suicide bombers killed 32 people at Belgium’s main international airport and on the Brussels metro in March. 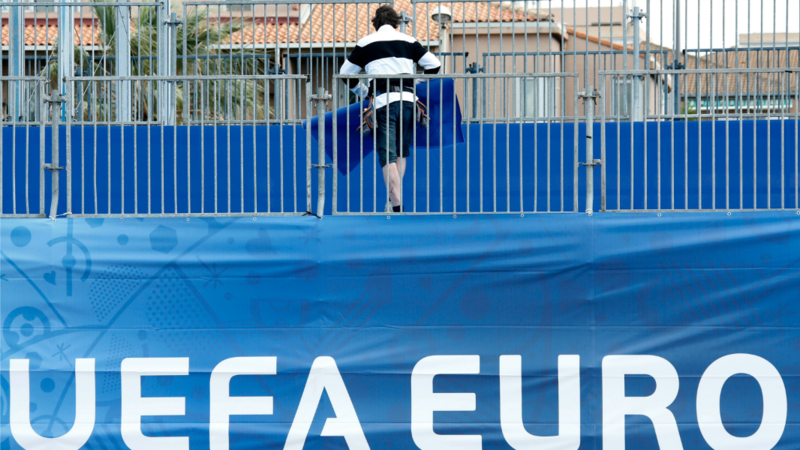 The United States has warned its citizens of possible further attacks in Europe, saying targets could include Euro 2016 which opens in France on Friday. Hrytsak said the SBU had sold deactivated weapons to the suspect after they found out that he was looking to purchase the arms. 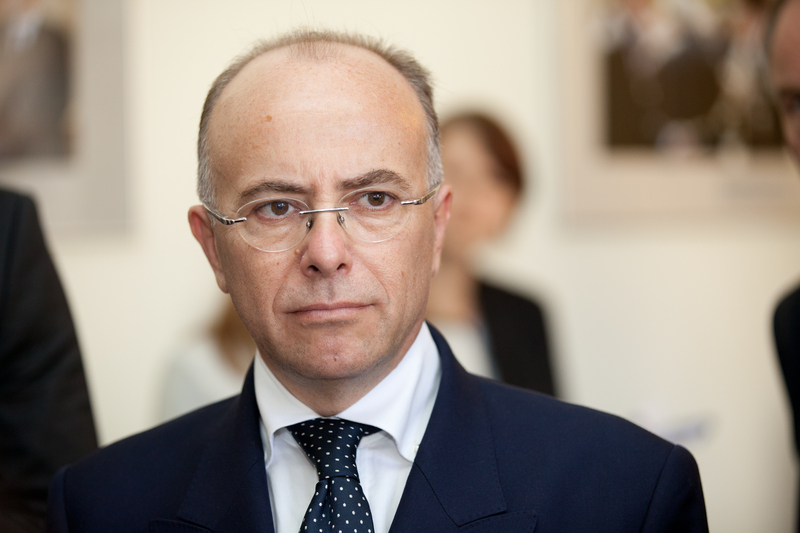 France has arrested 101 people since the start of the year over “direct links to terrorism”, Interior Minister Bernard Cazeneuve said in an interview to be published later today (13 May), exactly six months after the Paris attacks.